Join our laser force as we transport you to our DANGER ZONE! It’s dark… the smoke swirls… the music pounds… suddenly you’re spotted! A beam of light cuts through space… You race for cover… You have protected home base! This is Extreme Laser Tag with real time individual, group, or team scoring. You’ve entered a new dimension in high-tech entertainment! 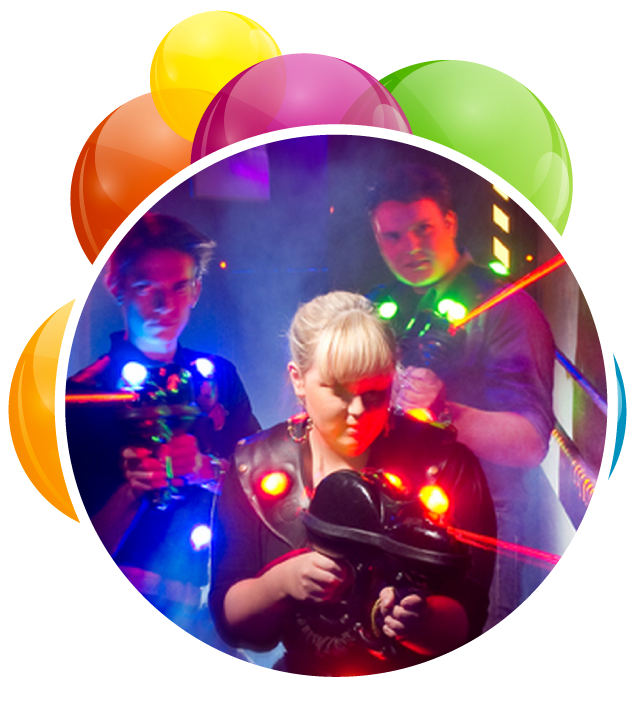 Laser Tag is open during all Public Sessions and is available for Private Parties, Birthday Parties, and Leagues. All ages welcome!